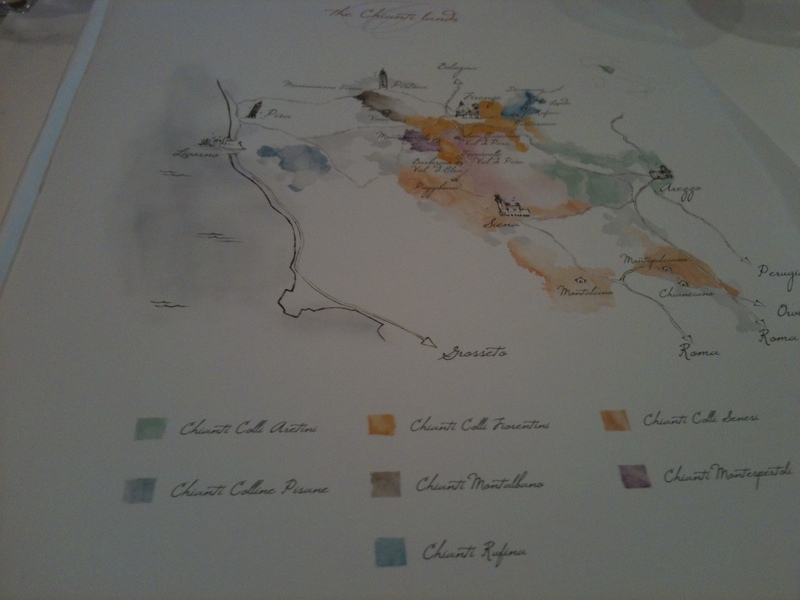 Chianti Masterclass: Tradition & Innovation and a New Logo! 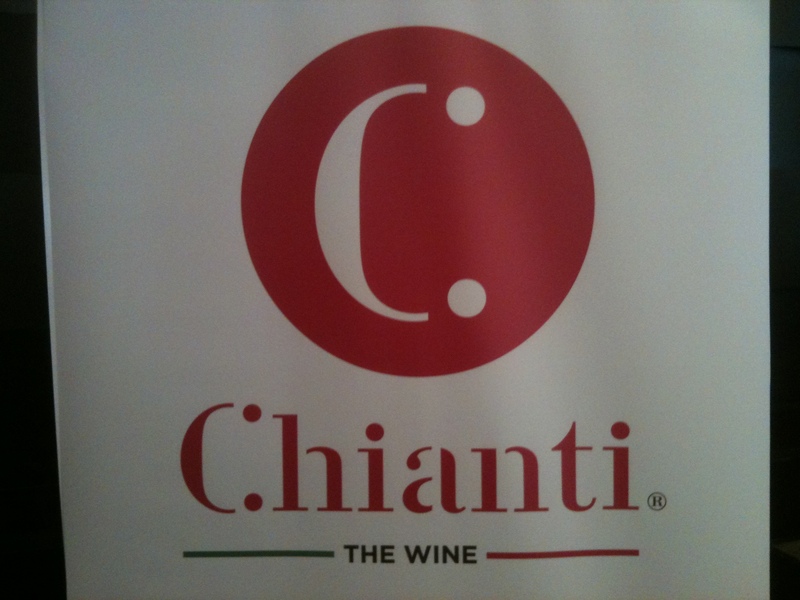 The Chianti Consorzio has a new logo: the letter “C” followed by two red dots resembling a colon, followed by the rest of the letters spelling Chianti. (Something like C:hianti.) Below is written Consorzio Vino Chianti or The Wine. At least I think this is the official logo because it has the registered trademark. If you turn it on its side the C: looks like a smiley face. These C:’s were on all the pages of information I received at a recent tasting. 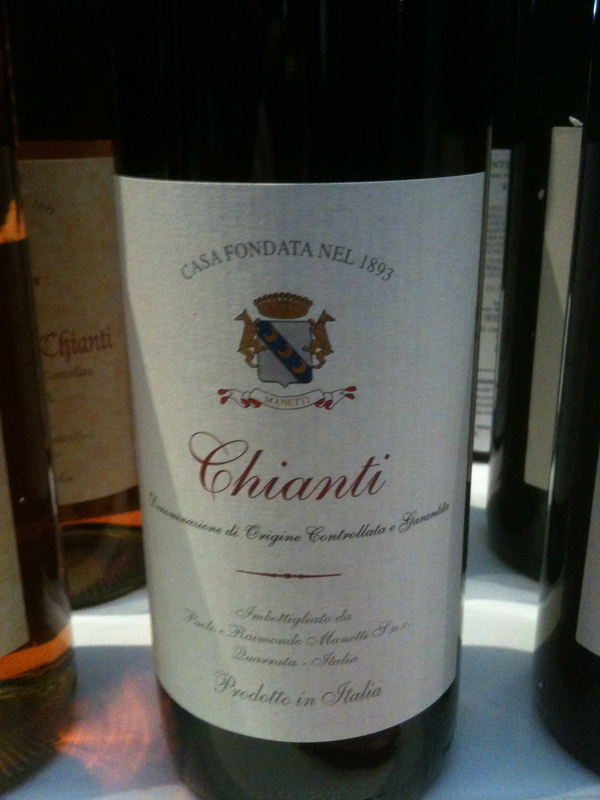 It is important to point out that the rules governing Chianti Classico are different from those for Chianti. Chianti Classic has its own Consorzio, the Gallo Nero. The seminar was entitled “ Chianti Masterclass: Tradition & Innovation. Jean Reilly, MW was the moderator and kept the seminar going by asking questions of the panel members and the producers of the wines. The other panel members were Giovanni Busi President of the Consorzio, Fred Plotkin, wine, food and opera writer, and Dan Amatuzza from Eataly in NYC. After tasting some of the wines Ms. Reilly said that Italian producers press their grapes with a little more pressure so that there are more “extracted substances” in the wine. This caught my attention, as I have not heard of it before. I saw Franco Bernabei, the noted Italian enologist, and asked him. He disagreed. Franco said that he likes wine to taste like the grape, to taste like the skins and perhaps this is what Ms. Reilly was referring too. Mr. Busi told us that in 2010 the law was changed so that Chianti can be made from 100% Sangiovese grapes. 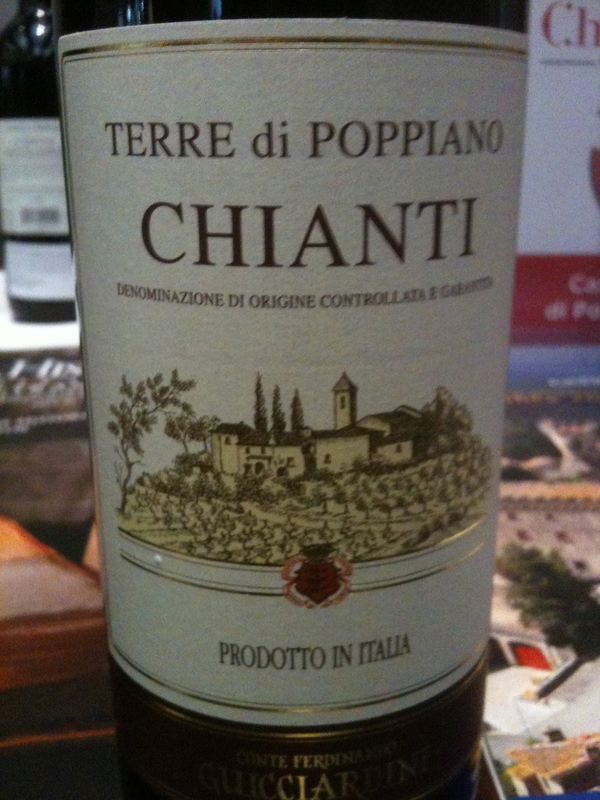 He believes very strongly that a producer should be allowed to make Chianti just from Sangiovese. All the wines tasted were Chianti DOCG from the 2010 vintage. Fattoria Bini made from 100% Sangiovese. This was the only pure Sangiovese that we tasted. The wine is fermented in stainless steel and aged for 6/10 months in stainless steel before bottling. It was very different from the first wine with fresh ripe fruit and light tannins. Annual production is 25,000 bottles. Cantina Sociale Colli Fiorentini Valvirginio 70% to 80 % Sangiovese and 20% of Canaiolo, Malversia Nera, Colorino. Merlot and Cabernet. Harvest for the Sangiovese is from the end of September to the beginning of October. For the other varieties the harvest takes place in the middle of September. The grapes are separated according to variety and fermented with maceration for 15 to 20 days, according to the vintage. The wine is aged in cement and steel for six months. The grapes for the wine are grown by the members of the Sociale and vinified in the Sociale winery using electrical power generated from renewable sources. This is a wine that is easy to drink with fresh red berry flavors and aromas. Annual production is 30,000 bottles. Castello di Poppiano “Terre di Poppiano” 80% Sanviovese 10% Canaiolo, and Ciliegiolo and 10% Merlot. The wine is fermented and aged in stainless steel. When the producer was asked why he used Merlot and not Cabernet Sauvignon, he replied that the merlot added fruit and Cabernet Sauvignon was too aggressive. Annual production is 100,000 bottles. Poggiotondo The wine is made from 80% Sangiovese, 10% Merlot, 10% Syrah 5% Colorino. Eight months in used barriques and stainless steel. Red fruit flavors and aromas with a hint of cherry, it was a little more modern in style. Castelvecchio-San Casciano Val Di Pesa “Santa Christina” The wine is 90% Sangiovese and 10% Canaiolo Nero. The wine is fermented in temperature controlled stainless steel tanks for ten days with daily pumping over. 50% of the wine is aged in cement tanks and 50% in barriques at least 3 years old. The producer said that he prefers French oak to Slavonian oak. This too was a little more modern in style.